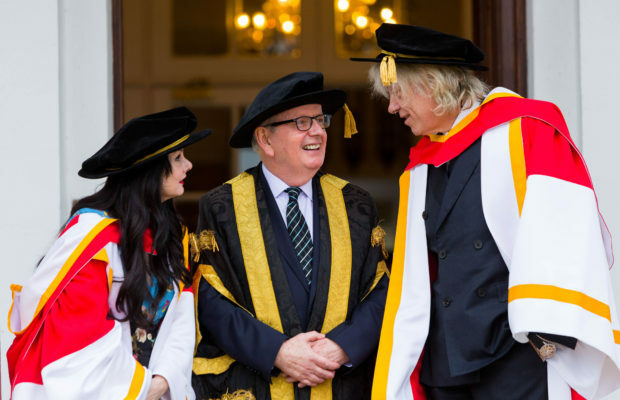 University of Limerick today conferred UL Honorary Doctorates of Letters on rock star, humanitarian and activist Sir Bob Geldof and best-selling author Marian Keyes. Photo: Oisin McHugh True Media. 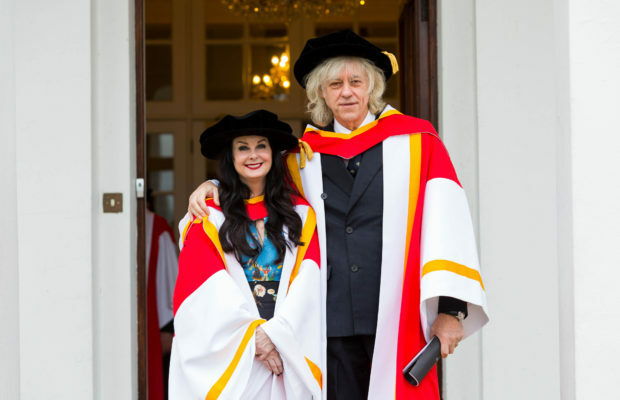 The University of Limerick has conferred Honorary Doctorates of Letters on the rock star, humanitarian and activist Sir Bob Geldof and the best-selling author Marian Keyes. The UL honorary doctorates were presented to Dr Bob Geldof and Dr Marian Keyes as part of the first of University of Limerick’s five Winter Conferring ceremonies, which will see 1,715 UL students graduate. Previous winners of UL honorary doctorates include retired Irish rugby union player Paul O’Connell, former Irish-American dancer Micheal Flatley and British and Irish radio and television broadcaster Terry Wogan. Marian has had a strong commitment to activism, particularly in the realm of gender equality. She donated all of the royalties from her best-selling book Under ‘The Duvet’ to the Irish Simon Community. UL President Dr Des Fitzgerald with Best-selling author Marian Keyes and activist Sir Bob Geldof at Plassey House, University of Limerick before the conferring ceremony. 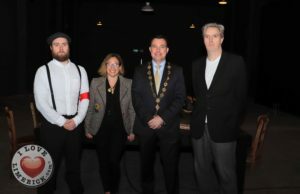 The UL honorary doctorates were presented to Dr Bob Geldof and Dr Marian Keyes as part of the first of ULÕs five Winter Conferring ceremonies, which will see 1,715 UL students graduate. 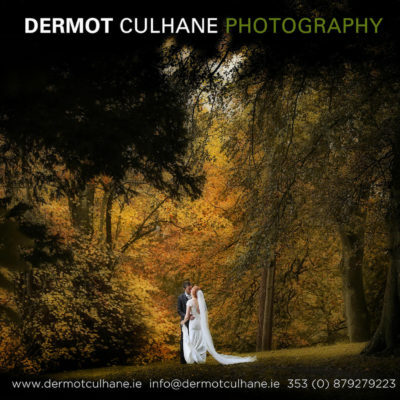 Photo: Oisin McHugh True Media. Sir Bob Geldof is a humanitarian activist best known for his work with Band-Aid and Live Aid. He has achieved global stardom as a rock singer, songwriter and leader of The Boomtown Rats. “Bob has lobbied politicians and world leaders of all political hues in his herculean efforts to resolve global inequality and poverty. 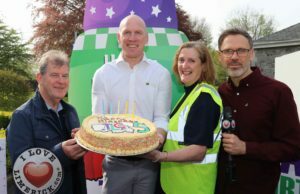 In 2017, he handed over the entire archive of the Band-Aid Trust to the National Library of Ireland; this will be a major resource for postgraduate students and academic researchers. The study of Peace and Development and of Africa specifically, is a major focus here at the University of Limerick, led by the work of scholars such as Professor Tom Lodge,” said Dr Fitzgerald. UL honorary doctorates are bestowed on individuals who have shown outstanding achievement, nationally or internationally, in the arts, sciences, business, industry, the professions, sport, social service or public service. To become receivers of UL honorary doctorates is a major achievement for both winners, as the award acts as a way of acknowledging the tremendous effort behind their accomplishments throughout the years. One thing that has remained enduringly true over the course of Bob Geldof’s life is that – in his own words – it is not in his nature to “shut up.” Throughout his remarkable career as an artist, author, entrepreneur and tireless campaigner for justice, he has tackled some of the most important issues facing the world. Be it through his immense contributions to music and literature or his decades-long struggle against poverty and discrimination on behalf of the world’s most vulnerable people, Bob Geldof has never shied away from his mission to make the world a better place. It is difficult to know where to begin appraising the life of one of the world’s foremost humanitarians. 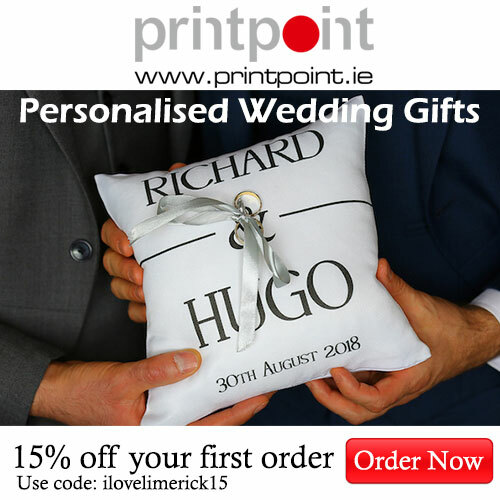 To start at the very beginning, Robert Frederick Zenon Geldof was born in Dún Laoghaire in 1951 and educated in Blackrock College. After working as a music journalist in Canada, he returned home and started the Boomtown Rats in 1975 at the age of twenty-four. A year later, the Rats moved to London in search of success. They quickly found it. The band’s first single, ‘Lookin’ After No. 1’, spent nine weeks in the UK charts, and they subsequently made the Top Forty with nine consecutive singles, achieving worldwide acclaim in the process. Combining razor-sharp lyrics and a ferocious on-stage presence with a deep understanding of social issues, Bob Geldof was – and continues to be – the band’s magic ingredient. Blessed with the economy of the born wordsmith and the charisma of a true rock-and-roller, Geldof has thrilled audiences for decades, both with the Boomtown Rats and as a solo performer. Given his intelligence, fearlessness and compassionate nature, maybe it was only natural, and inevitable, that Bob Geldof would come to be viewed as the leader of the fight against famine in Africa. At a time when the world was divided – as Bob put it – between abundance and desperate need, he stepped up to the mark and became one of the strongest voices on behalf of those in desperate need. Bob speaks with an easy eloquence and colour but perhaps even more importantly, he is a dogged and uncompromising activist for change. In 1984, the man who made it impossible to ignore mass starvation co-founded the international supergroup Band Aid to raise money for famine relief in Ethiopia. In November 1984, the band recorded ‘Do They Know It’s Christmas?’, the UK’s fastest-selling single of all time. Co-written by Bob Geldof and Midge Ure, the record sold almost four million copies worldwide. A year later, Geldof organised Live Aid, one of the most ambitious undertakings in the history of music. Held simultaneously at Wembley Stadium in London and in the John F. Kennedy Stadium in Philadelphia on Saturday, July 13 1985, the concert was attended by nearly 200,000 people and watched on television by an estimated 1.9 billion viewers, making it one of the most widely viewed television broadcasts in history. Although organising Live Aid was a monumental task, Geldof never lost sight of his core mission: raising money to save the lives of famine-stricken people. According to estimates, the project raised around £150 million for famine relief. It is not an exaggeration to suggest that there are hundreds of thousands of people alive today because of Bob Geldof’s rage, courage and deeds. Turning his attention from immediate famine relief to tackling its causes and securing debt relief for the poorest African nations, Bob Geldof has never stopped speaking out about Africa. Today, he is a member of the Africa Progress Panel, a group of ten experts fighting for fair and just development in Africa. As an ardent campaigner for a better world, he has never wasted time worrying about party politics or fretted about the personal consequences of his demands for change. For Bob Geldof, the goal is greater: a world without poverty and without injustice. Bob Geldof throws himself body and soul into everything he does. He is a successful entrepreneur and possesses the spark of creativity required to get a business off the ground. He is also the author of a bestselling memoir, ‘Is That It?’, and starred in the film version of Pink Floyd’s ‘The Wall’. It seems there is little this man cannot do. His talent may speak for itself, but when Bob Geldof himself speaks, people listen. He has said that “music is something I must do, business is something I need to do, and Africa is something I have to do.” He has a keen sense of duty, and the recognition he has received for his efforts, including an honorary knighthood and a Man of Peace award, is just reward for a life spent fighting for what is right. Whatever he turns his hand to, from culture to world peace, Bob Geldof has invariably left an indelible mark, and it is with the greatest admiration that we welcome and honour him here today. When she was a student of English at Trinity College in the early noughties, Irish author Louise O’Neill remembers one particular lecture during which the portrayal of women in literature was being discussed. When the lecturer mentioned Marian Keyes, O’Neill recalls how many of her classmates shared a knowing look in recognition of Keyes’s importance, alongside Jane Austen and others, as a social commentator. In her thirteen novels to date, Marian Keyes has unflinchingly probed societal and human suffering but has always managed to capture some redemptive moment, something to remind her many millions of readers of the joy that life can offer. For Marian Keyes herself, the act of writing is one of life’s greatest joys. She has stated that writing is the “most authentic way I can be,” and, undoubtedly, authenticity is a defining feature of her books. The potential of hope that is intrinsic to Keyes’s writing is perhaps informed by her instinctive belief in humanity and the power of a happy ending. She has said that she “would rather never be published again than write a downbeat ending,” and she has demonstrated over and over again, in her writing and in her life, that even in the darkest times, there is always the possibility of light at the end of the tunnel. Marian Keyes was born in Limerick and grew up in Cavan, Cork, Galway and Dublin. After studying law at university, she joined the many other young Irish people who emigrated to London in the 1980s. With no grand plan to become a writer, she spent her twenties working first as a waitress and later in an accounts office. This was a difficult period for Marian, and she has spoken openly about her struggles with depression and alcoholism during that time. 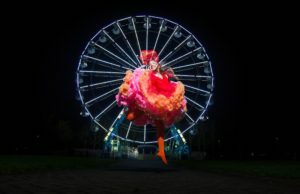 What ultimately inspired her to write was reading a short story in a magazine and thinking to herself: “I could do that.” In 1993, aged thirty, Marian Keyes sent her first story to Poolbeg Press. That event would change the course of her life. Clearly recognising her talent, Poolbeg published Keyes’s first novel two years later. With its combination of wit, courage and searing honesty, ‘Watermelon’ was a runaway success. It became an immediate bestseller in Ireland and did not take long to make an equal impact abroad. Since then, Marian Keyes has enjoyed continued success as a novelist and nonfiction writer. Twice an Irish Book Awards winner, she has sold over forty million books worldwide, and her work has been translated into thirty-six languages. Despite the distinctly Irish tone of her writing, the stories she tells transcend borders and tackle issues that have touched the lives of almost everybody at some time of their lives. She has fans all over the world. Focusing too much on the commercial success of Keyes’s novels, however, would risk overlooking the craft and subtlety with which they are written. Time and again she has demonstrated her unique ability to write stories about serious subjects with compassion and humour. In tackling such subjects, she has made an enormous contribution to chipping away at the stigma surrounding mental health and addiction, and for this, she deserves our praise and gratitude. Marian Keyes has been described as a writer of popular fiction, and to the extent that her novels prove endlessly popular with audiences of different genders, generations and countries, she is certainly that. Referring to her writing as “moving and brave,” Zadie Smith has described Keyes as one of the most important feminists in modern writing. This has been echoed by others who assert that her work narrates a different kind of Irishness, containing within it memories of historical issues that have oppressed Irish women. As an honorary ambassador of the Irish Writers Centre, Marian is a tireless champion of young Irish writers and serves as a role model for aspiring artists and authors, particularly women. It is hardly surprising to learn that she still loves words as much as ever. However, it is not only through her words that she contributes to Irish life and culture but also through her actions. Her courage, conviction and unwillingness to ever give up have helped make her a literary icon and one of Ireland’s most successful novelists, and it is for this that we honour her here today.